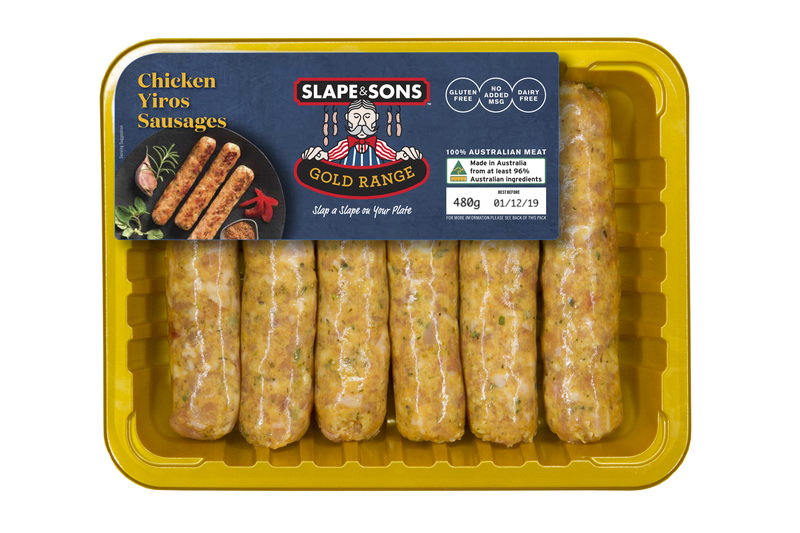 With just the right amount of herbs, these Country Style Sausages have a lovely flavour and will have you coming back for more. 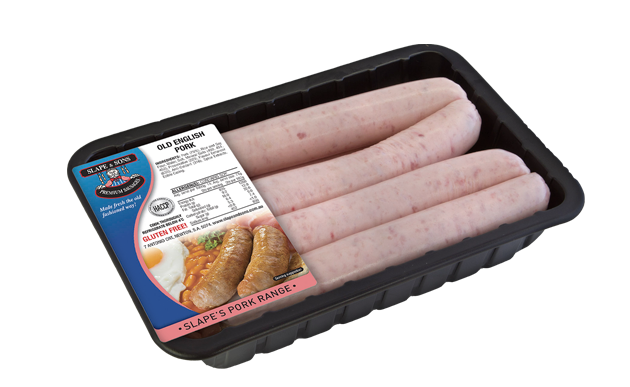 They were the first flavoured Sausage we produced and they are still going strong. 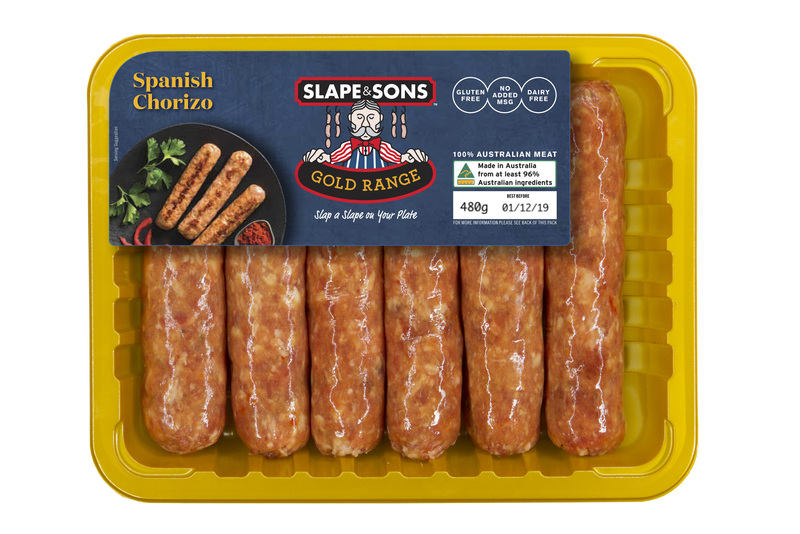 Available in Thin, Thick and Chipolata to suit every occasion. From a recipe that hasn’t changed in over 20 years, this Sausage hits the spot for all. Simple in flavour for a BBQ for the whole family or as the traditional favourite of Bangers and Mash or great in a casserole. A quality BBQ Sausage for your Fundraiser. Our Steakettes are made from Prime Beef and a lovely selection of spices to make them ‘oh so tasty’. Everyone loves the shape – perfect for the burger sandwich straight off the BBQ or out of the frypan. 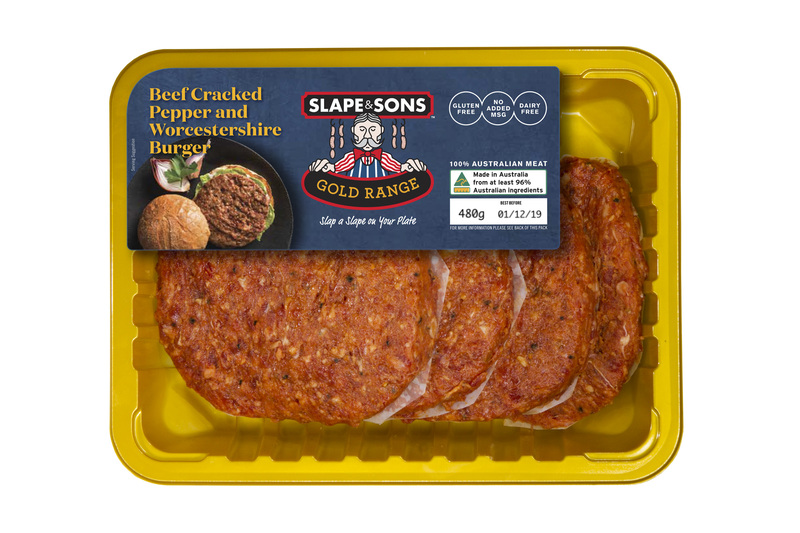 Produced from lean Beef, our Texas Burgers are a tasty favourite around the country. 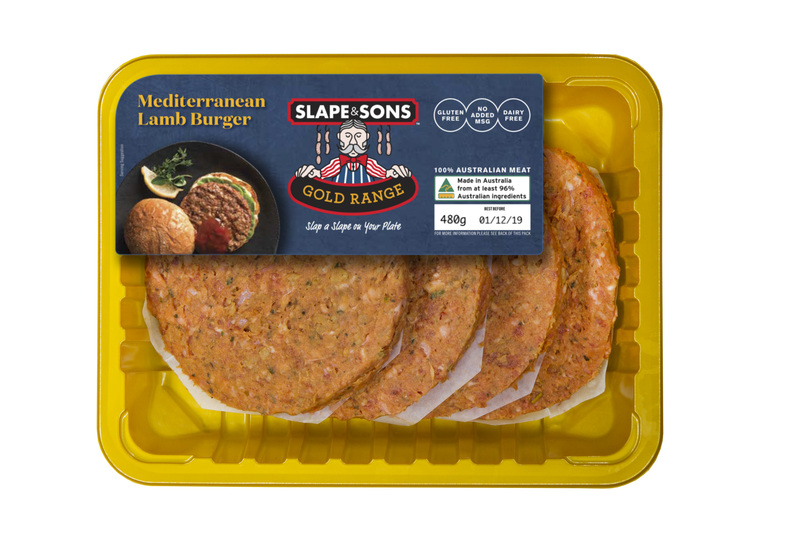 Perfect on the BBQ and spiced just enough to have flavour, even in a Burger with ‘the lot’. 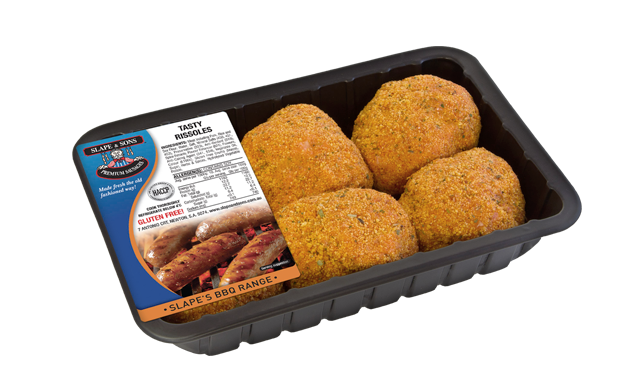 Another one of our Chevaps – a skinless Sausage rolled in a lovely spicy crumb to give you wonderful taste and flavour. 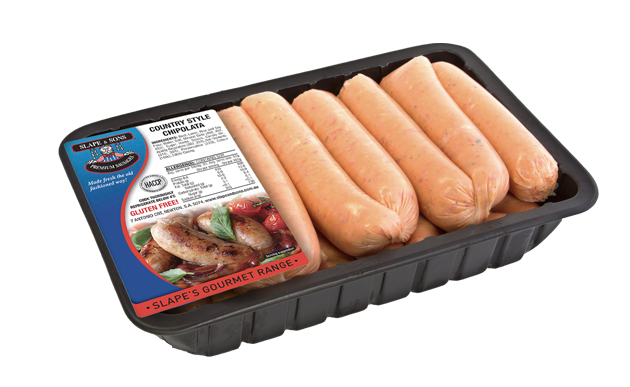 Great to have around for that last minute party and a favourite for the BBQ in summer. 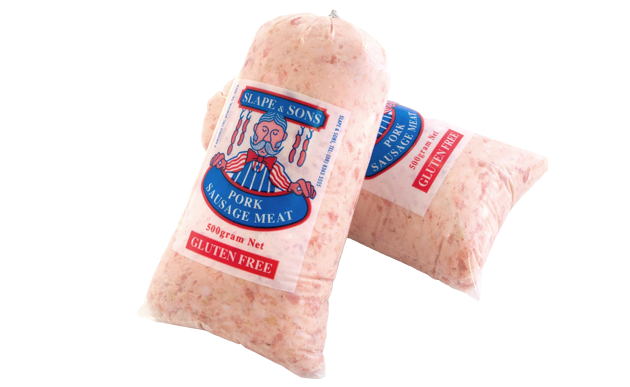 Our Skinless Sausages are made, as they say, from Prime Beef. Perfect for the BBQ or diced and served on a toothpick at a cocktail party, there is plenty in each tray to ensure everyone gets some. A mixture of course cut Lean Beef & Pork and selected herbs, this is a medium thickness Sausage with a genuine Continental taste. Beautifully enhances a home cooked, winter meal or slow cooked on the barbie to enjoy with that extra beer. 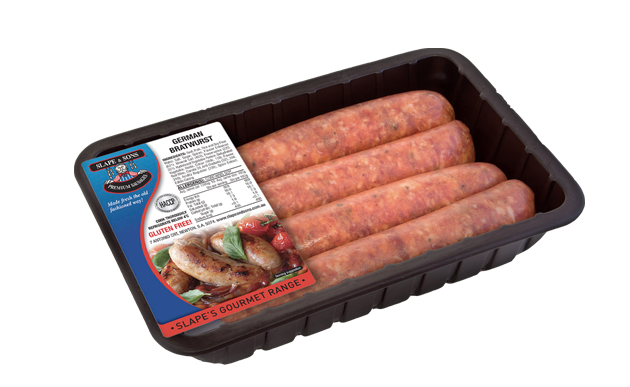 A Supreme Italian Sausage! 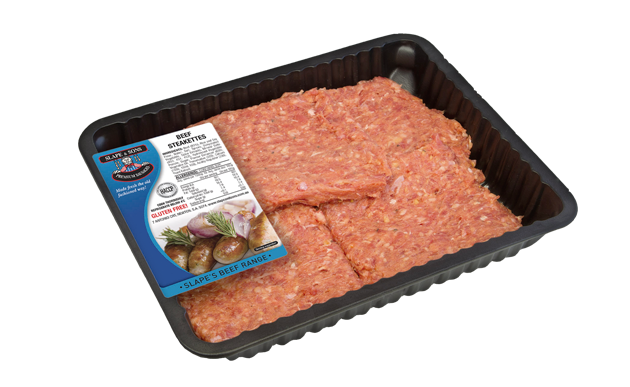 Course cut lean Beef and Pork with a hint of red wine and traditional Italian flavour, this one is ideal for the upmarket summer BBQ. 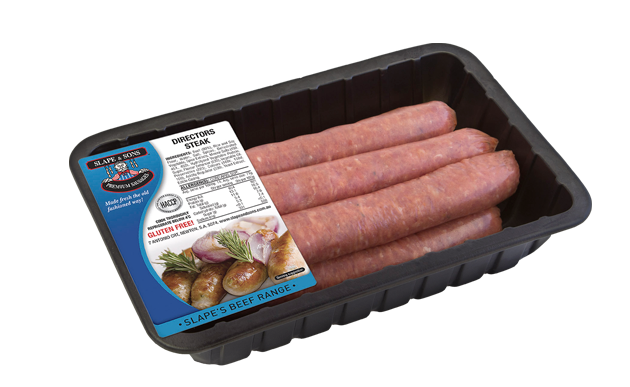 Course cut Lean Beef & Pork mixed with selected German spices makes this a traditional Bratwurst Sausage which is in a medium thickness casing. Helps to make a real gourmet dinner or fits perfectly with some Sauerkraut. 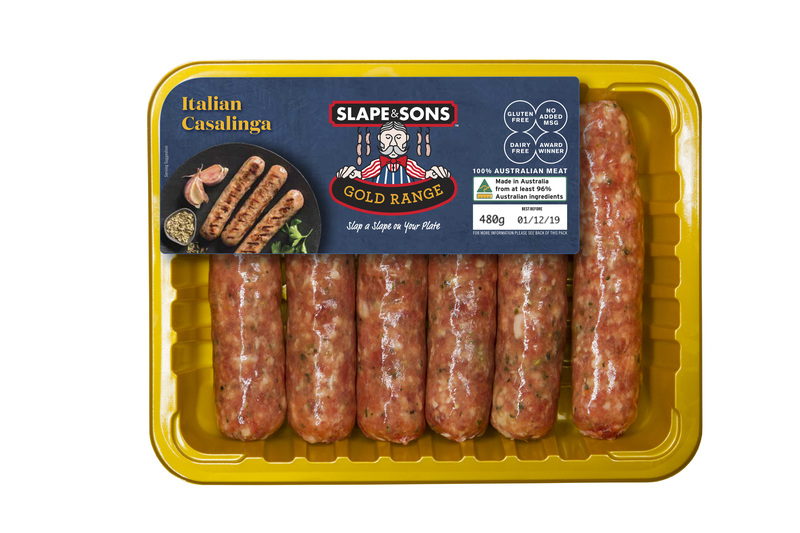 Predominantly Lean Lamb & Beef mixed with a hint of Rosemary and Garlic flavouring plus selected herbs, this is an outstanding Sausage. Perfect with a Greek Salad and some crusty bread. 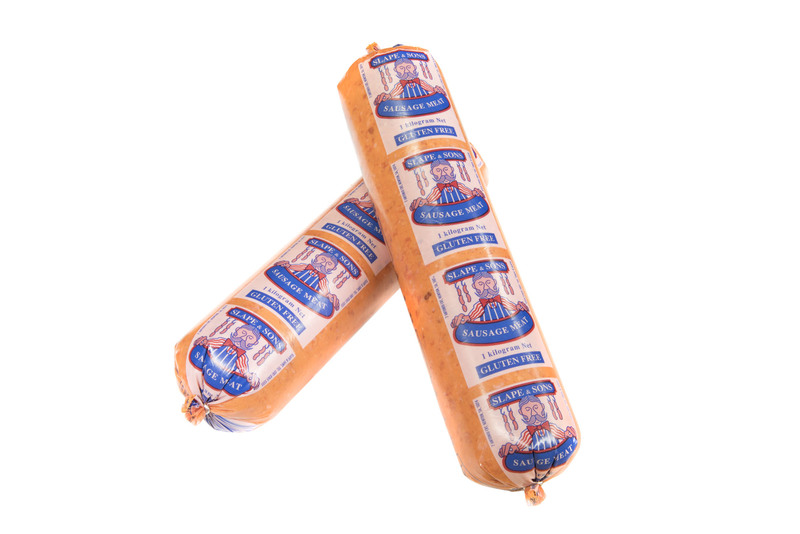 This Lamb Sausage is mixed with a lovely array of Moroccan spices giving it a truly original and authentic taste. This is ideal for the person who likes a sweeter flavour, as it is our sweetest tasting Sausage. 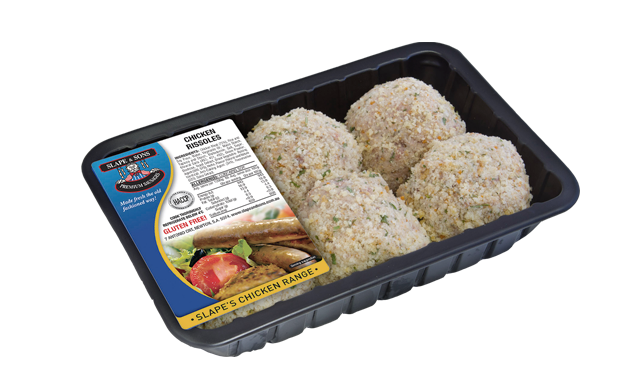 Lean minced Chicken shaped into a nice sized Rissole and rolled in a mild gluten free crumb. 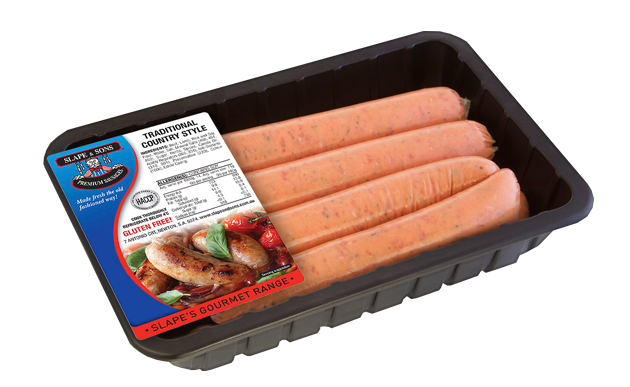 Add to the weekend BBQ for a variety in your meat selection or for the evening meal with an array of vegetables – it fits in well. 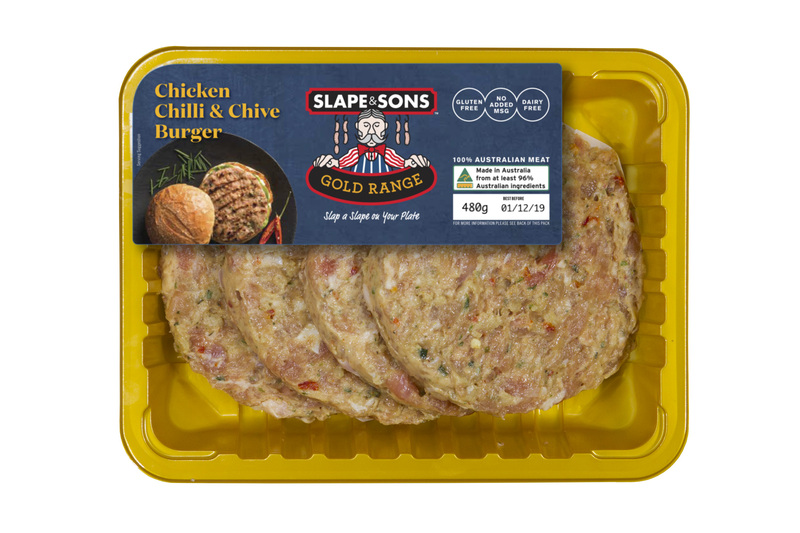 Can also be flattened out to form the perfect Chicken Burger. 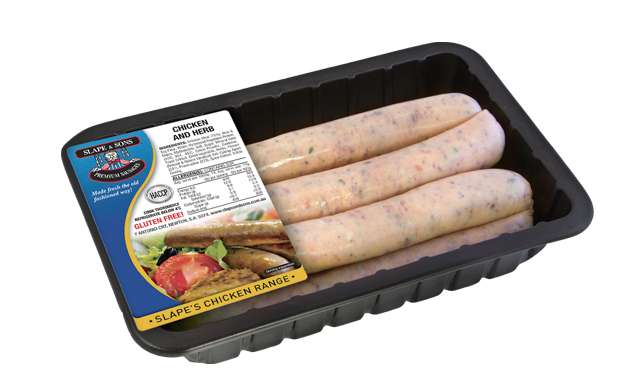 Our Chicken & Herb Sausages are a favourite – lean Chicken mixed with a hint of Sage, Oregano and Rosemary makes them scrumptious. Available in both Thin and Chipolata. 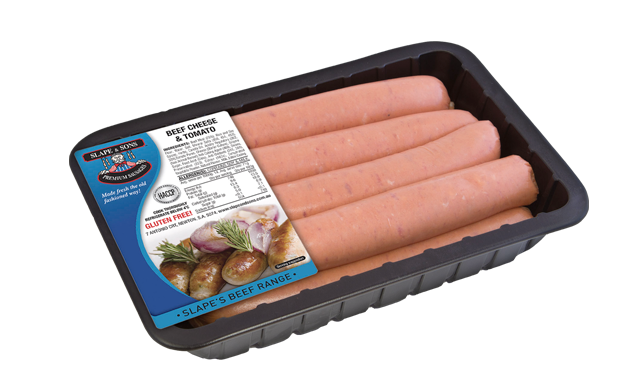 Quality 100% Australian Pork Sausages of the bygone years – original recipe developed by Robbie Slape (first manufactured in 1965). As good as you will buy in England! 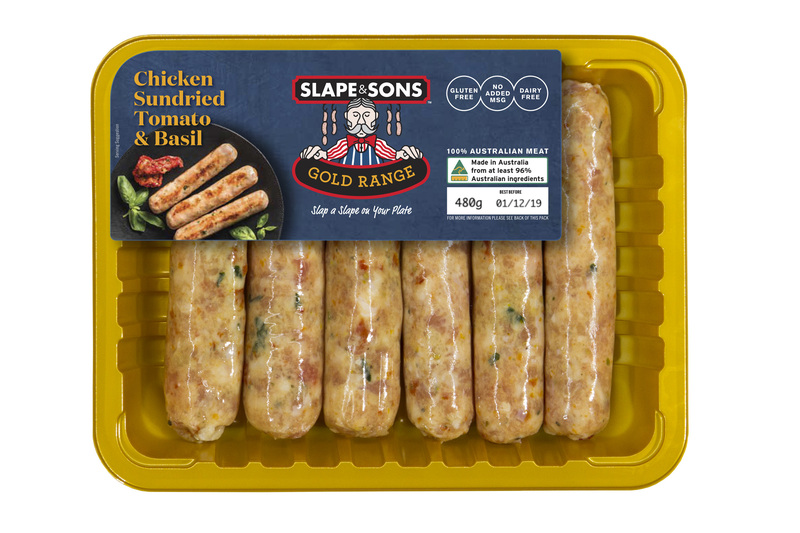 Available in Thin, Thick and Chipolata. 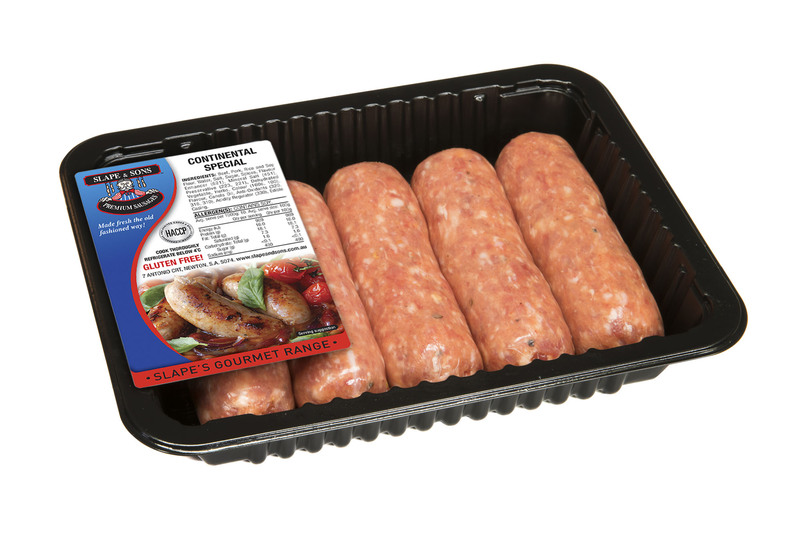 This Sausage is all prime lean minced Beef mixed with spices and a small amount of cracked pepper. 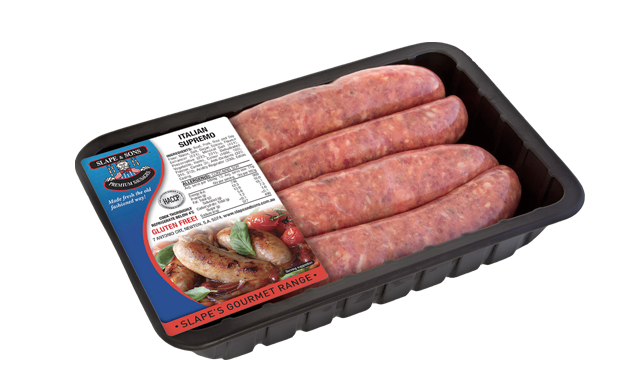 The perfect Sausage for the big breakfast – steak, sausage, bacon, eggs to your liking, topped with braised mushrooms and tomato. With a lovely light, smoked beef flavour, this attractive thicker style Sausage compliments any meal both in presentation and taste. 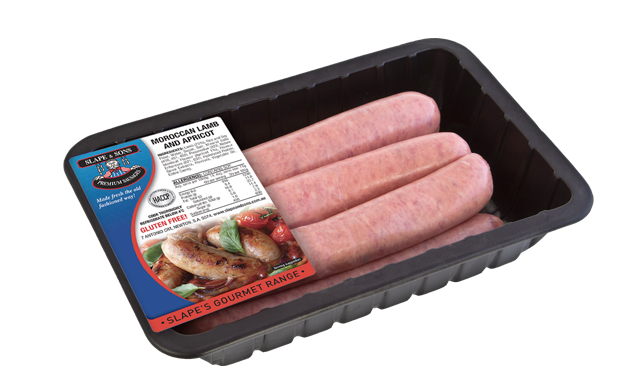 We are the only manufacturer of this style of Sausage – fresh, with grill marks. 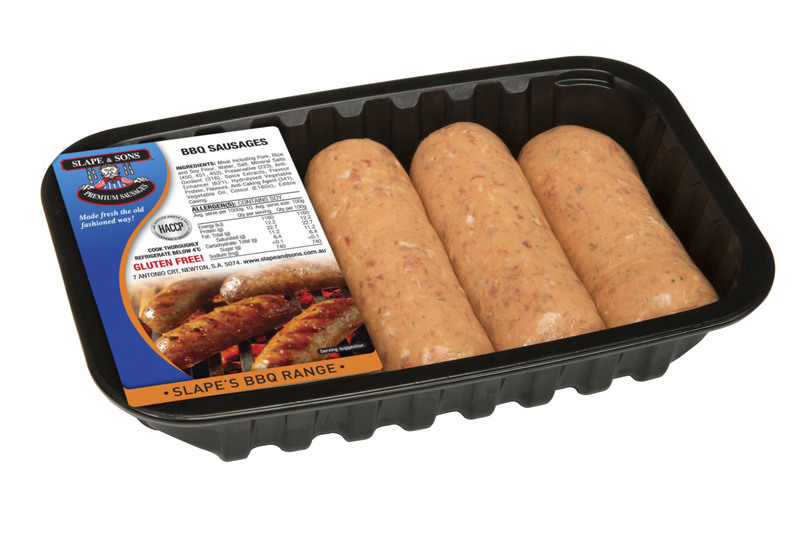 This one is in our top three best selling Gourmet Sausages. 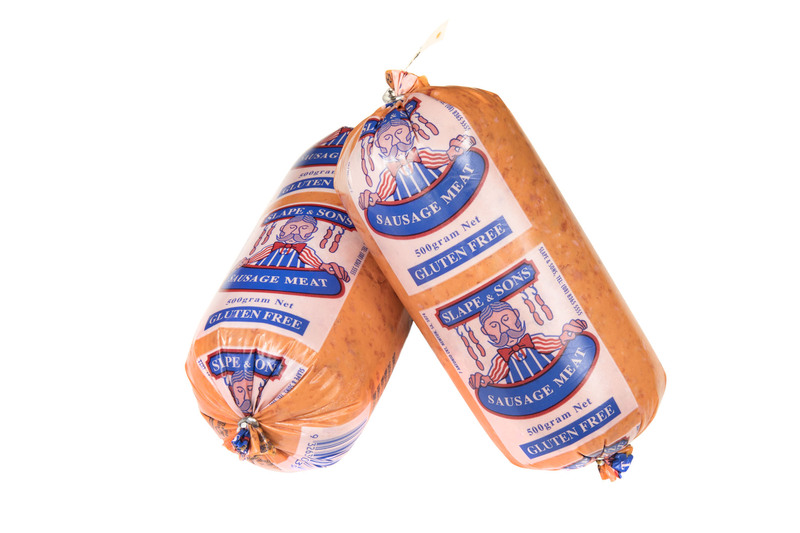 This Mild Beef Curry Sausage is only available through Autumn and Winter – the right time to enjoy the warming wintry flavour. 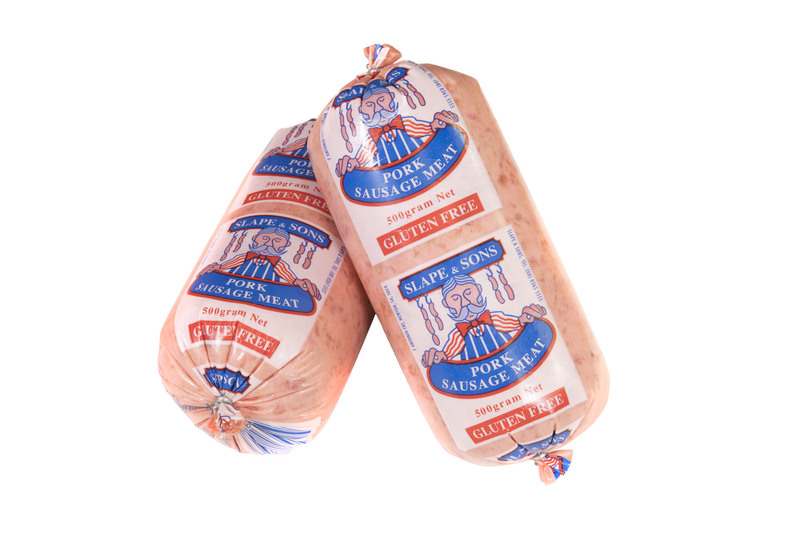 Perfect with a plate of vegetables or an ideal Sausage for a winter casserole. Another favourite during the cooler months, this Sausage has a wonderful light mixture of honey & mustard. 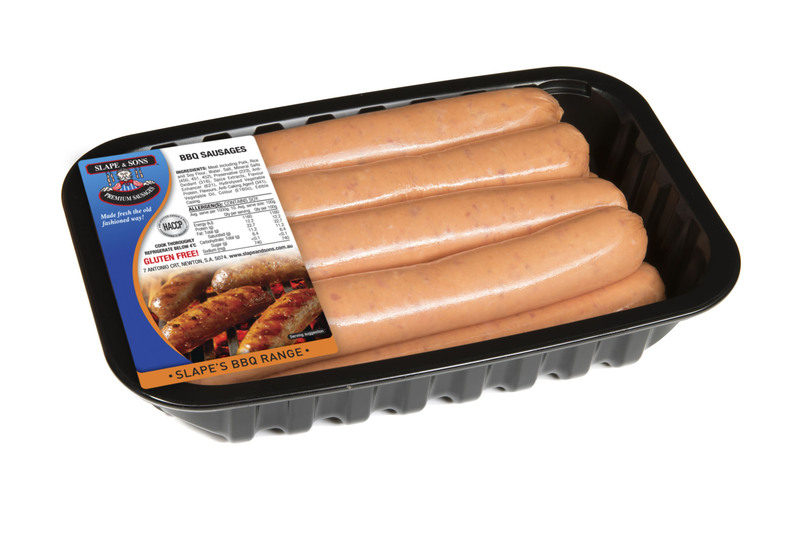 This is one of our sweeter tasting Sausages even though it has a hint of mustard. The aroma when cooking will have everyone sitting and waiting to eat! 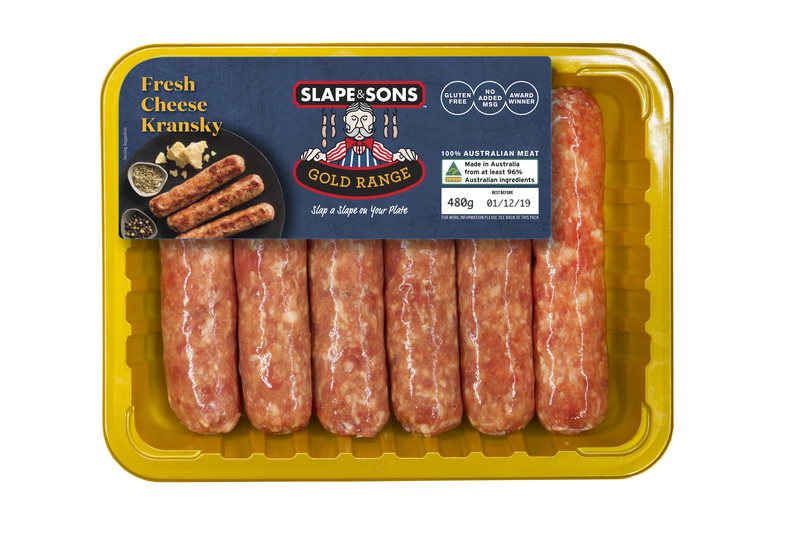 With a lovely mixture of Tasty Shredded Cheese & Tomato, these Beef Sausages are really delicious. A flavour that suits both adults and children, this is one of our top three selling flavoured Sausages. For best results, cook slower to maintain the cheese flavour. 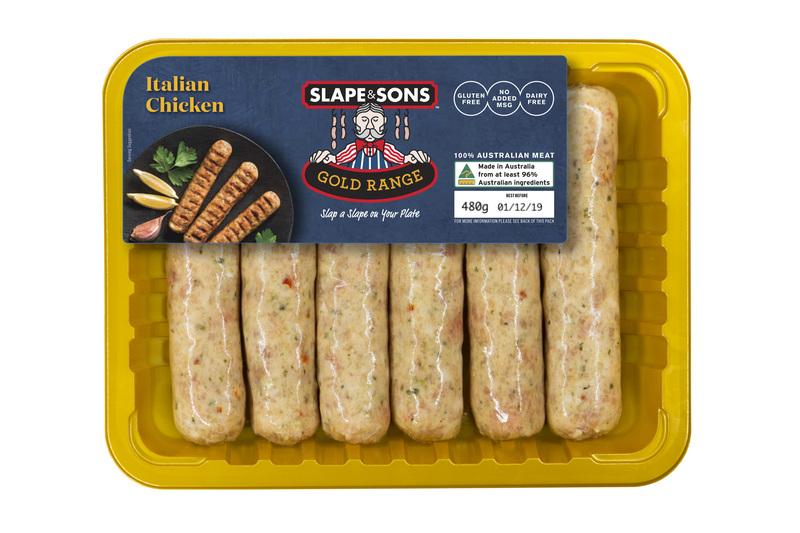 These hearty Rissoles start the taste buds going just looking at them. 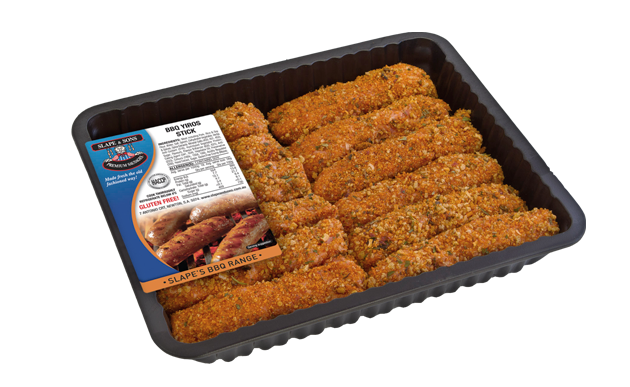 They are rolled in a gluten free crumb and perfect for a yummy winter meal with vegetables or add them to your BBQ plate. From a recipe that hasn’t changed in over 20 years, this Sausage hits the spot for all. Simple in flavour for a BBQ for the whole family or as the traditional favourite of Bangers and Mash or great in a casserole. Kids love the size of these on their plate! 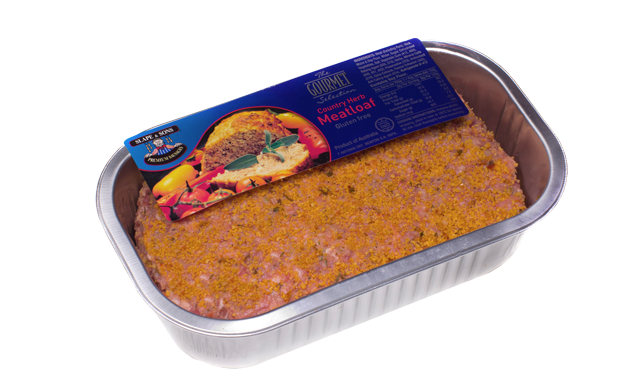 A delicious, hearty Meatloaf perfect for the winters night. 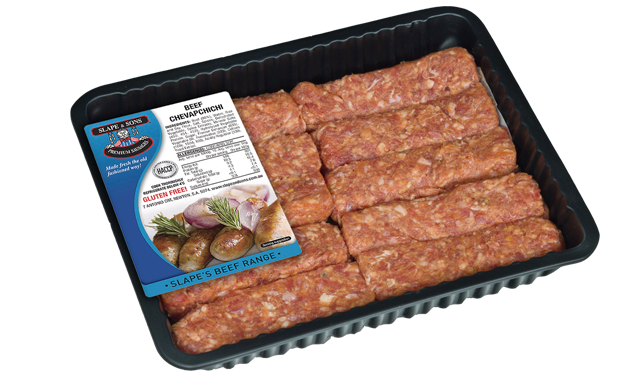 An easy meal – just unwrap and place in the oven in the foil tub. Perfect with vegetables and great the next day sliced for another meal or in sandwiches.